Clairaudience is one of the main psychic abilities. Personally, it’s one of my favorites (I also LOVE clairsentience). You may find when you start on your path of psychic development that some of your gifts unfold easily and others don’t. 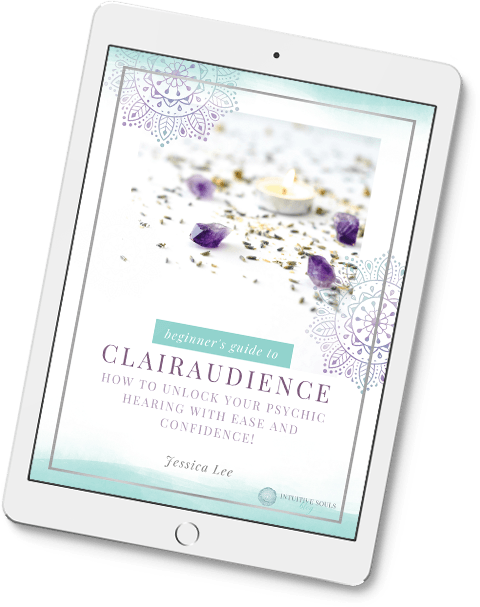 The good news is that clairaudience – that is – your psychic hearing is one of THE easiest intuitive gifts to develop… once you know how. Let’s talk a little bit about what clairaudience is. Clairaudience comes from the french words clair (clear), and audience (the action of hearing). Put them together and you’ve got clear hearing. 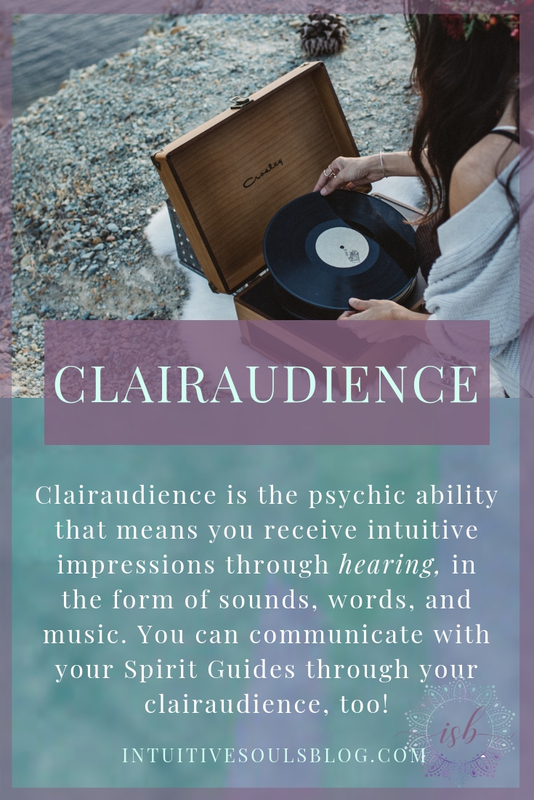 Clairaudience is a psychic ability that means you can receive intuitive information from your Higher Self, those in heaven, and members of your spiritual “team” (Spirit Guides, angels) via hearing. You might hear sounds, voices, words, or music. Clairaudience is usually heard internally (in your head). Sometimes, clairaudient messages can be heard with your “regular hearing”. But remember – those in the Spirit world no longer have a physical body – therefore, don’t need a physical “voice”. Tip: If you want to be a professional intuitive, clairaudience can be super helpful to develop. On the other hand, if psychic hearing isn’t your strongest intuitive gift, no worries! You don’t have to have every “clair” wide open in order to be an amazing intuitive! Read: What if All of My Clairs Don’t Open? Clairaudience is soft and subtle. It often sounds like when you are thinking to yourself. For example, if I’m doing a mediumship reading and my client’s Uncle Joe is communicating with me via my clairaudience, I don’t hear the voice Uncle Joe had while he was alive. I hear him in my voice, in my head. Think of it as a telepathic way of communicating. Once you’ve developed this intuitive gift, you’ll be able to differentiate between your own voice and the voice of Spirit, too. You may hear sounds, words, or music in your head. They may have literal or symbolic meanings. If I’m giving a reading and Spirit wants me to know they recently had a birthday, I might hear the Happy Birthday song in my head. On rare occasions, you may hear words, music, or sounds externally with your regular hearing – yet there is no source for the sound. One day, my massage therapist and I began hearing the most beautiful music, yet there was no one else in the building and no radios around! We could both hear this ethereal music with our normal hearing. Imagine how cool that would be if that happened all the time. We’d save a fortune on iTunes! Most mediums hear Spirit telepathically in their own voice. But sometimes, the voice of Spirit will sound like it did while they were living. The first time this happened to me I could distinctly hear my friend’s sister in Spirit saying the name John. It was amazing! I was able to describe her voice and the way she pronounced her words. These types of of clairaudient experiences are positive and not scary. If a person is in distress and their spirit team needs to get their attention pronto, they MAY hear a clairaudient warning out loud. This phenomena is NOT meant to be scary, but can be startling (this is another reason why Spirit prefers to communicate with gentle, telepathic messages). And believe me, if your spiritual team protects you by yelling “STOP”, you’ll be super thankful they did! Where Do Clairaudient Messages Come From? Once you are far enough along in your psychic development, you’ll begin to get a sense of who is sending you a message and why. If you start hearing Katy Perry’s Teenage Dream playing in your head, it may be a nudge that you should take that romantic vaca with your hubby! Anyone can develop psychic hearing. For some, it will be their dominant psychic ability. For others, clairvoyance, clairsentience, or claircognizance will be easier to develop and use. LOVE music or are musically inclined, play an instrument, etc. Enjoy writing your own music. This process makes you feel connected to your soul. Are sensitive to noise. Too much noise makes you feel drained or irritable. Spend a lot of time “in your head” thinking. If you don’t have all the traits, that’s OK. Psychic hearing could still be one of your dominant gifts. I only have the last three qualities and clairaudience is still one of my strongest abilities. Now the fun part! Developing clairaudience just requires a couple of key ingredients: practice and the desire to learn. The easiest way to start developing clairaudience is to practice sensitizing your hearing. This works because as you train yourself to hear more in the physical world, it will be easier for you to pick up sounds from the Spirit world. Let’s try it right now. If it is safe to do so, close your eyes and take a few deep breaths. Set the intention that you want to increase your psychic hearing. Relax your body and let your hearing be your dominant sense. Gently tune into sounds that you don’t normally focus on: the refrigerator humming, your own breathing, etc. Breathe and listen. If you do this exercise for just 10 minutes every day, you’ll be well on your way to developing clairaudience. I have seen a few mediums in my time and they have all always told me that im extremely sensitive and should open myself up. But it scares me. I often here voices when I’m at my most relaxed state which is when I’m in bed just before I fall asleep. There have been times when I have had a full out conversation with “someone” in my head asking them questions on their life. I was always freaked out of this. For a long time I slept with a pillow on my head a fan going and music on because it freaked me out. but just reading some of your blog posts have actually brought some light and hopefully will help me to over come Alot of anxieties I have. I can relate to this. It happens all the time, ever since I was very young but, never knew what it meant. I’m so glad I found this blog! I had a question about hearing. When I hear paranormal sounds, music, voices, etc. I hear them not with my mind or ears. I hear it somewhere in between. It’s hard to explain. But it’s in between mind and physical hearing. Do you know if other people experience this? And I know you said we don’t do scary here, but I seem to hear more negative spirits or energies rather than positive. How do I control my automatic fear towards these occurrences. I’ve been sleeping with my tv on at night for 5 or more years now because of this fear. Thank you so much for the great info in this post :). I can read emotional things, that people say about me. I read a man thru a glass windows, it was if he was standing in front of me. It’s only when they say emotional things about me. People call me crazy, my hears burn when people talk about me, right ear is good, left is bad things need help. Ariel is my emotional angel. I’m sensitive to others emotions and dislike being around people’s negativity. At night when I close my eyes I often have flashing visions before falling asleep. It could be a persons face, or place, or an event occurring. I don’t recognize any any of the people or places…have you heard of this happening to others? Sure have :) It happens when your clairvoyance opens up. Thank you Jessica !!! i am so glad I found this site :) I have been searching for a way to hone my clairaudient gift. The voice I hear is strong, and i wonder if other spiritual guides can communicate with us as well. I have had a few very jarring experiences where I heard multiple voices at once. This has only happened when my outcome was not what was needed, but a better outcome that affected multiple people. Hello there! Looking through all of the articles here I’ve began to wonder it I’ve had this clairaudient gift for my whole life. I used to play card games with an “imaginary friend” even though I knew physically no one was there I still felt like I was playing with someone. I think my first occurrence that opened my eyes was a time I heard someone call my name. No one was home. A second big thing that happened while lying in bed I was so worried about the things I was doing. All of a suddent it was like there was a bolt of lightening or crack in air that I could hear and a stern man’s voice said, “I can hear you.” I will never forget that. I’m very excited to finally put a name on this gift as I’ve been having more and more occurrences with my second pregnancy. Just like the first I would see images of a baby girl. Her name popped in my head righy away and I just knew she would be a girl and what she wanted to be named. I strongly feel this pregnancy associated with a boy. I’ve had countless dreams of seeing him. I even had a dream I was able to see his newborn body and opened his diaper just to settle my doubts! It’s a boy alright!! I have been having some fears with this pregnancy hoping nothing would go wrong. I’d start to feel kicks and I would have dreams reassuring me….which brings me to my last input. Two nights ago my right ear started to buzz or vibrate..like a tingling sensation and it was a soft woman’s voice. I started asking her questions in my head and she would answer them. One of my questions was asking about my unborn son and she said he is fine but I need to stop worrying because it’s interrupting him from tuning in to me or his physical body…something like that. And then last night the same thing happened!! My right ear started tingling and it was the CUTEST small child’s voice. I started asking questions and immediately sensed my son. To confirm I asked for his name and in the most adorable way he said the name his dad and I agreed on. It was so cute the way he said it, almost like a child reciting their name they had just learned how to say. I don’t mean to write a novel but I am so happy to be in tuned with the world around me and just wish people didn’t think this stuff was weird. Luckily I have one friend and my mom who shares the same interests and beliefs as me. Thanks for letting me share! Clairaudience is definitely my strongest sense. I began by hearing music like a chorus that got louder and more harmonious almost as guide towards correctness. I continue to enjoy this “feature.” In time though as I began to acceot what was happening was real, this is all in the last 6 months, and I was a hard nosed science person before… lol… ya… my friends are like, “the hell happened to you? ?..” lol. But ive soent a lot of time in meditation like hundreds of hours since then.. and gone deep in my mind. Through my auditory abilities learned to distinguish individual vubrational frequency and feelnthe different energies within the varying harmonoes one finds through specific movement patterens and poses. Its all proved very interesting. Healing and directing loving and calming energy around and through me seem to be what I am best at. Dogs race to me at the park and wait when I project out, I swear im not a crazy person lol. But I do it by combining my intnet to heal and help others be happy, with channeling energy in the specific vibrational frequencies wich I feel but also primarily go by the sound of the symphony in my head. Im one of those who are super sensitive though. Lets just say I have tears streaming down the face of my tablet just trying to write this. Almost cant even finish now.. sheesh. But ive definitely hear clear voices now also at times. I dont see things, but thats mostly by choice. Im fully aware of when im not alone, but still not 100% comfortable with all of this, so I choose to see no more than shadows… sometimes. Hi I have only been hearing inaudiable whispers, I already have the gift of clear knowing/sensing. Psychic hearing is awesome, but not always easy. 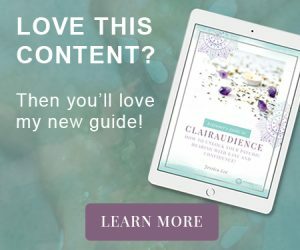 Set yourself up for a confident and fun journey with my Beginner's Guide to Clairaudience eBook and Workbook!